A few years back I posted a blog about listening to music while writing, particularly motion picture scores. It works for me, and judging by the comments at the time, many others like to use music when they write, too. Music is an amazingly powerful force in the world and can add to your memories of special times—there’s that tune from your first date, or the one you danced to as a newlywed on your wedding day. And so many countless other occasions. One of the times of year I look forward to most is the Christmas season. And a big reason is, I love Christmas music. It must be playing throughout our house while we put up our decorations. And on Christmas day, it is nonstop in every room. There are so many great Holiday tunes to choose from; whether your tastes lean toward the traditional religious songs or the commercial pop hits, they all paint a warm and happy time of year. My favorite has always been I’ll Be Home For Christmas, a poignant, emotional tune that never fails to bring back memories of Christmas past. It’s a short story with a surprise ending perfectly written for maximum impact. Since TKZ will be on vacation from December 22 through January 4, let me take this opportunity to wish everyone a Merry Christmas and a Happy New Year. See you next year. “Cotton Stone is a heroine for the ages.” – Douglas Preston, #1 New York Times bestselling author. 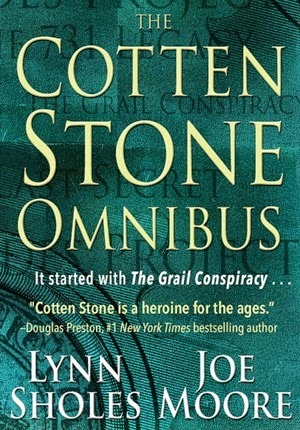 Perfect Holiday gift: THE COTTEN STONE OMNIBUS. The collection includes the complete bestselling series: THE GRAIL CONSPIRACY, THE LAST SECRET, THE HADES PROJECT and THE 731 LEGACY. All 4 thrillers for only $7.99. Download now for yourself or gift it to a friend! I’ll be flying most of the day and may not get to respond to your comments. In case I don’t, here’s wishing all my TKZ blogmates and friends a wonder Thanksgiving Holiday. In fact, we hear the term in the zone used often, not only with writers, but athletes, artists, and just about any activity that requires skill, creativity and deep concentration. So what is “the zone” and how do we enter it? Why is it so hard to remain there for extended periods of time? Being in the zone can last for a few minutes, a couple of hours or a whole day. For those that never seem to enter the zone, it might be because they try too hard to do so. Sort of like when we stop trying to solve a problem, the solution suddenly comes to us through our subconscious. Let’s try to define what being in the zone means, especially when it relates to writing. For me, it’s a mental state where time seems to disappear and my productivity greatly exceeds normal output. It might start after I’ve finished lunch and sat down at my PC to work on a new chapter. Without any feeling of the passage of time, I suddenly realize a couple of hours have gone by and I’ve produced 1000 words or more. I don’t remember the passage of time or anything that deals with my surroundings. I only remember “living” or becoming immersed in the story’s moment, having the words flow from a deeper source, and “awakening” from the writing zone as if only a few moments have passed. I’ve never been hypnotized, but I can assume that being in the zone is somewhat like self-hypnosis. My body remains in the here-and-now, but my creative senses somehow find a hidden room inside my mind, a place normally under lock and key. And I’m able to enter it for a short time to let what’s there emerge into the light of day. It can also feel like driving down the Interstate on a long trip deep in thought and suddenly realize I can’t remember the past ten miles. I’ve never been athletic, but I bet it’s a similar scenario: a golfer is able to tune out the surrounding crowd of tournament spectators, the dozens of network cameras, the worldwide audience, the cheers from the distant gallery as his opponents make a great putt, and he’s able to enter a place where only his game stretches out before him. The rest slips by in a blur. Personal mind control. So what is a good method for getting into the zone? Some writers use the “running start” technique by reading the previous day’s work or chapter. It gets them back into the story and hopefully the new words start to flow. Others listen to music. This is something I often do. Nothing with lyrics, though. I listen to movie scores or piano and guitar solos. I find that it can help set a mood or become background “white noise” that blocks out other audible distractions. That’s because, for me, the biggest obstacle to zoning is distractions. It’s important to reduce interruptions and distractions by creating an environment where they are minimized. This means shutting my office door, closing the drapes on the windows, unplugging the phone, disconnecting Internet access, and most of all, choosing a time to write when those things can be fully managed. Doing away with distractions is no guarantee that I will enter the zone at will, but it does give me a fighting chance to at least knock on the door to one of those dark, hidden rooms upstairs and let my story flow out. How about you Zoners? What’s it like for you to write in the zone? And do you have a method to slip easily into the zone? 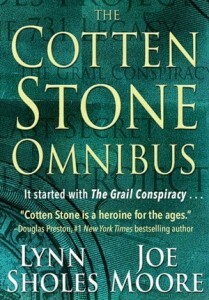 Less than a week to go until the release of THE COTTEN STONE OMNIBUS. The collection includes the complete series: THE GRAIL CONSPIRACY, THE LAST SECRET, THE HADES PROJECT and THE 731 LEGACY. All 4 thrillers for only $7.99. Pre-order now! At one of my recent fiction workshops I asked the attendees why they want to write a book. The responses varied, and all were interesting. Then I pointed out which responses I felt were good reasons and which were not so good. First the not so good. Fame. Fame is fleeting and almost never comes quickly if at all. For all those striving to become famous, only a few ever achieve it. We’ve all heard stories of writers who self published and became rich. They make the news because they’re rare. If you’re writing for notoriety, reexamine your goals and objectives. Money. I know a few professional writers who make a good living at the craft. I know many others who make money at writing, but not enough to support themselves and their families. They must be creative in supplementing their writing income—the most common form is to maintain a day job. The rest make so little money at it that one wonders why bother. If you’re writing to make a fortune, call me when you do so I can borrow from you. Influence. There are some new writers whose main goal is to impress their readers, perhaps with their ginormous brains or voluminous vocabularies. If that’s the motivator you rely on, stick to scientific papers with limited circulation before your brain explodes in frustration. Agenda. You have a moral crusade and you want to preach it to the masses. You figure you can do it through a novel and no one will figure out that it’s your personal agenda you’re expressing and not your protagonist. Readers are smart. They’ll see you coming a mile away. No alternative. We write novels because we can’t think of a good reason not to. Wanting to write is not a reason—needing to write is. We simply need to get our stories told. Even if there is no one to read them. Even if we never make a penny. Even if they are for our eyes only. Although it is visually gross and probably tasteless, I always think of the baby alien bursting out of the crewman’s chest in the movie Alien. The story is coming out and there’s nothing we can do about it but sit down and start typing. So, TKZers, why do you write? 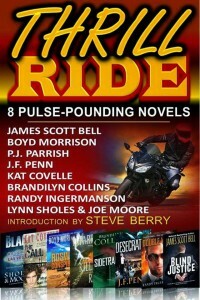 Coming October 15, from Sholes & Moore: THE COTTEN STONE OMNIBUS. 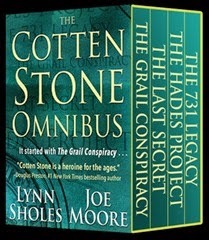 The complete Cotten Stone international bestselling collection—THE GRAIL CONSPIRACY, THE LAST SECRET, THE HADES PROJECT and THE 731 LEGACY. Download from your favorite e-book store for only $9.99. On Monday, Clare posted a great blog on Finding Your Voice. She pointed out that it’s critical for a writer to have a distinctive voice that fits the genre and helps pull the reader into the story. Along with her post, Clare got a number of excellent comments. Check them out when you get through with my post. Today I want to add some additional thoughts on developing writer’s voice by comparing it to performing music. If I asked a musician to play a melody on a trumpet, then asked another to play the same melody on a cello, chances are you could tell the difference between the two even though they played the same notes. Not only does one instrument sound different from the other, but individually, they can convey a variety of emotions based upon the style and technique of the musicians. Both can play the same melody, and when combined with the timbre of the instruments and their respective artists’ style, they can also invoke feelings and emotion. In a similar manner, when it comes to defining the writer’s voice, it can be the combination of the author’s attitude, personality and character; the writer’s style that conveys the story. It’s called the writer’s voice. Voice is the persona of the story as interpreted by the reader. So how do you find your writer’s voice and keep it going throughout your manuscript? Here are some tips. First, start by writing to connect with your readers, not to impress them. Your voice is the direct connection into your reader’s head. Some might argue that the words are the connection. But I believe that the words are like the notes on the sheet music that a musician reads as he or she plays that trumpet or cello. 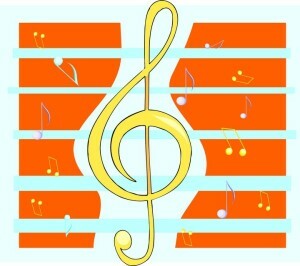 Those notes printed on the musical staff have no value until they are “voiced” by the musician. 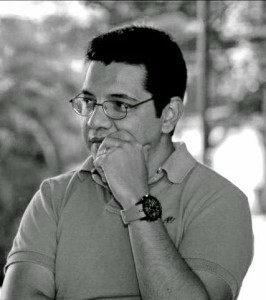 Likewise, those written words on the printed page of a book have no value until they are interpreted by the reader. With the musical example, the styles and techniques of the musicians are the connection to the listener. With the novel, the writer’s voice is the connection into the reader’s imagination. The pictures formed in the mind of the reader are strongest when the writer’s voice is solid, unique and original. The best way to develop your writer’s voice is to simply let the words flow without restrictions—let them speak from your heart. Feel the emotions that your character or (first-person) narrator feels. Equally important, avoid comparing yourself to other writers. Doing so can be restrictive or downright destructive to your voice. You are who you are, not someone else. 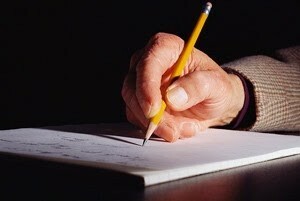 Write from your heart while not trying to copy your favorite author. The writer’s voice you need to create is yours alone. There’s nothing wrong with being inspired by other writers, but convert that inspiration into your own style, your own voice. It’s also dangerous to compare yourself to other writers or become jealous of their style or accomplishments. Doing so always leads to frustration and a product that is not totally yours. If you’ve tried to inject someone else’s voice into your words, the lack of honesty will always come through to the reader. Finally, as you work on your manuscript, try to visualize a specific reader and write directly to that person. Remember that you’re trying to communicate, to make a single connection with a single reader. 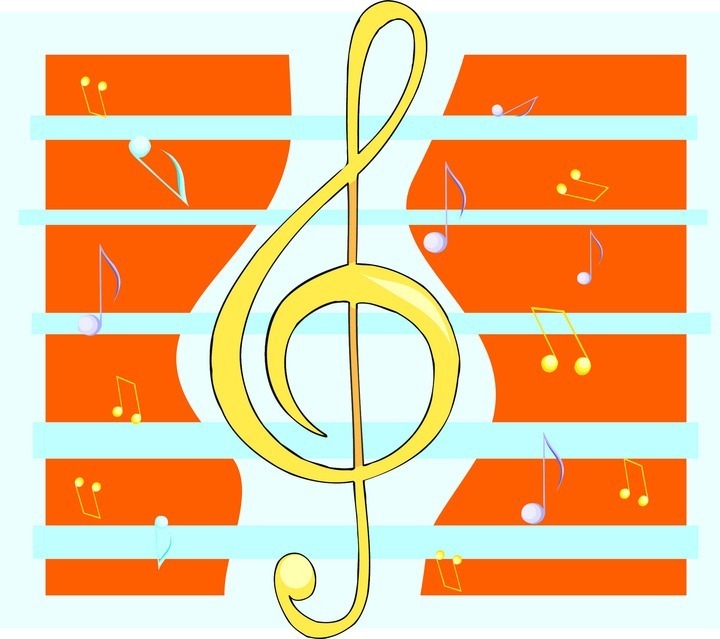 Just like a musician playing the notes on the sheet music, finding your writer’s voice is the process of communicating with your reader the emotions and feelings you feel through your characters. You can’t learn voice, but through writing, more writing and even more writing, you can develop a distinctive, unique writer’s voice.